The fastest large-format monochrome and color printer ever, with up to 50% savings in total production costs. Shop Now. Instill confidence in your customers with a visual manifestation of your principles and order a customized wall graphic or mural today. Have a Custom Graphics Job to Upload? We provide equipment services nationwide. Learn more. 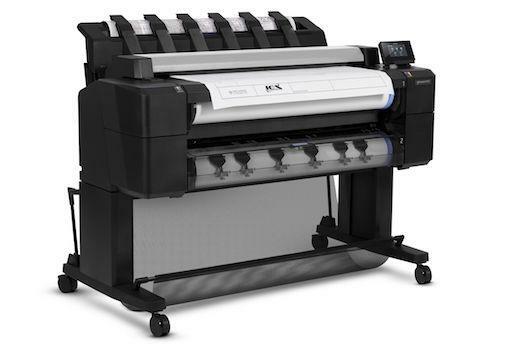 Looking for a new wide format plotter? We provide FREE SHIPPING on equipment nationwide. Need printer paper or ink for your plotter? We provide $15 flat-rate shipping on all supplies. Check out our updated blog for the newest tips, tricks, and ideas focused on your printing needs. We have a huge selection of printers, plotters, scanners, and other wide format printing supplies at The Wide Format Company. With 25 of experience in the industry, we’re here to offer you nothing but the best. Take your work to the next notch of sophistication by starting at the source: your machinery. A great investment for years to come, premium printer equipment can make a world of difference. Having trouble with your equipment? We have equipment services available across the nation. Need custom graphics designed and printed? We can do that too. No matter the case, The Wide Format Company is here give you the quality products you deserve so you can get the most out of your work. Shop our collection of wide format printing supplies and equipment to get started. Website designed by Kaufer DMC.